Registration for Admission: Collection of the Application Form from the school front desk on payment of Rs. 100/-. Submission of the duly filled Application Form, with necessary documents as detailed in Application form. 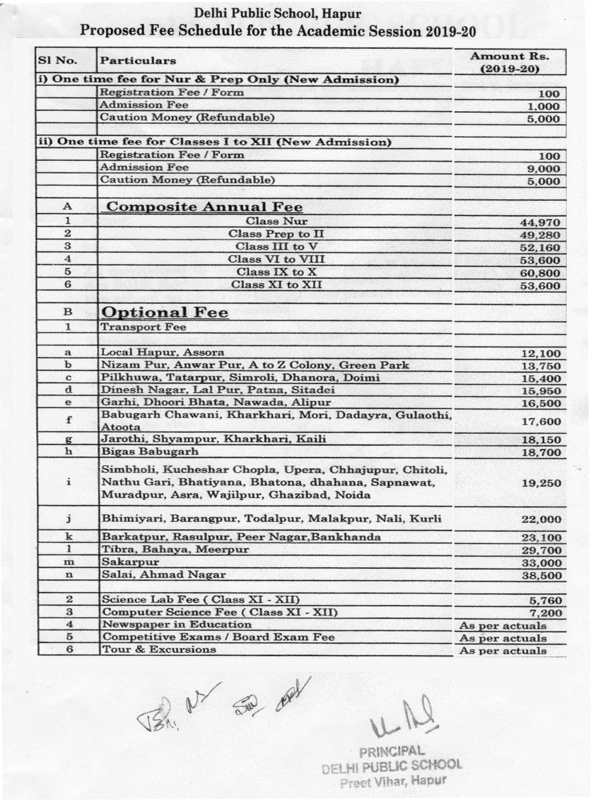 On Grant of Admission: Completion of Admission formalities including payment of fee. There is no formal interaction / test for these classes. Parents and children are called to meet the teachers and see the campus. If selected, the School Administrative Office will inform the parents about the admission and will ask them to complete the admission formalities by depositing the required fee with the necessary documents. b. In case of 10 or more students applying for a particular subject choice which is not indicated in the list, the School will consider that choice. Ø The candidates not fulfilling the eligibility criteria will not be allowed to appear for the written test. The selection of candidates will be done on the basis of their performance in the written test and the interview with the admission committee. Aptitude test will be held in the following subjects as per the stream opted by the candidate. a) The candidates not fulfilling the eligibility criteria will not be allowed to appear for the written test. c) A candidate who has been provisionally admitted in Class XI will be granted admission based on the Board result / CCE final result declared in May 2017.
d) Candidates fulfilling the eligibility criteria for the final admission must submit their grade sheet and registration form within three days of the declaration of Board result.